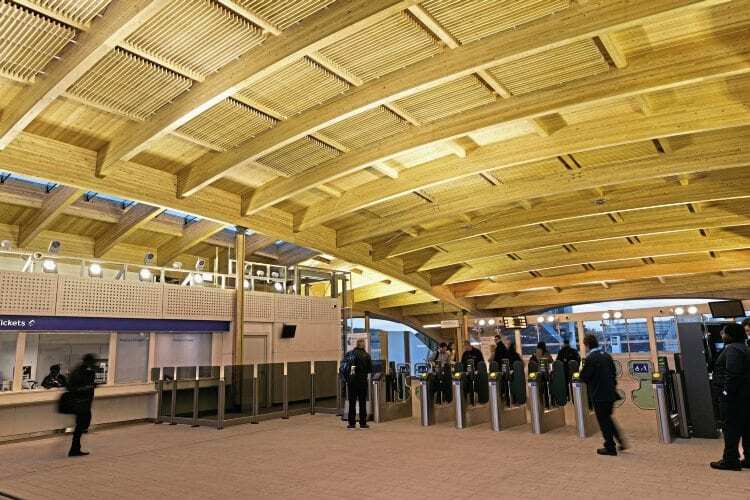 ABBEY Wood’s striking new station building opened on schedule on October 22. It was delivered by Network Rail as part of the Crossrail project. The new building and concourse are the first part of an important new interchange between Southeastern suburban routes and the Elizabeth Line, opening in December 2018. Work continues to complete the station’s full facilities, including new lifts to the concourse and installation of Crossrail systems. A temporary station, opened in 2014, will be removed and the car park reinstated.